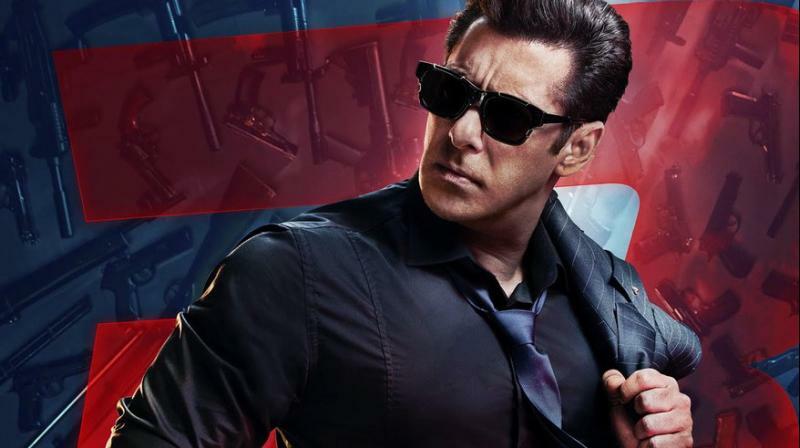 Has Salman Khan’s Race 3 rights been sold at humongous 190 crores? After giving opening of around 50 crores, it is expected that his movie rights are sold at a maximum price. Salman Khan on 'Race 3' poster. Salman Khan’s market value is at rocket high is a fact that everyone is well aware of. No matter what movie Bhaijaan does, his fans ensure it doesn’t go unnoticed, so his demand never diminishes, and instead, Salman movies are always expected on Eid release. After giving opening of around 50 crores, it is expected that his movie rights are sold at a maximum price, which is what seems to have happened even with his upcoming Eid release ‘Race 3’. “Apparently, there were four top contenders – Fox Star Studios, Reliance Entertainment (a division of the Reliance Anil Dhirubhai Ambani Group), Yash Raj Films and Eros International. Buzz is that Eros has made an outstanding offer to Salman Khan (co-producer) and Ramesh Taurani – something which is almost impossible to refuse. Eros has offered the producers a whopping Rs.190 (approx) which consists of Rs.160 MG (Minimum Guaranty Basis i.e. outright sale) to acquire the worldwide distribution rights of the film (except China) and Rs.30 crore (PN&A),” added the source. “While one has heard that YRF and Fox have bowed out of the match, Aditya Choksi from Reliance is still in talks with the producers. But Reliance might find it hard to match the offer and everyone in trade is talking of how Eros appears to have clinched the deal. Once both parties (Salman, Taurani and Eros) sign on the dotted line within the next few days, they will make an announcement,” the source cleared. ■Post wrapping Race 3, Salman Khan all geared up for Dabangg 3 in a week? ■Race 3: Yash Raj Films to distribute Salman Khan’s upcoming film?